Maida burfi is easy recipe to prepare for Diwali . 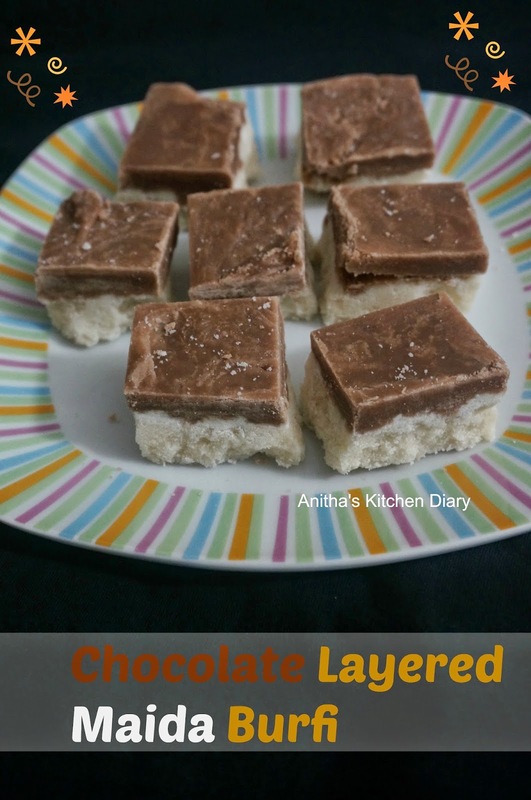 It can be prepared in less 10 minutes.I'm not big fan of maida burfi but when i saw the post of Raks Kitchen Chocolate Maida burfi , i want try this recipe for sure. Every blog started posting Diwali recipe . 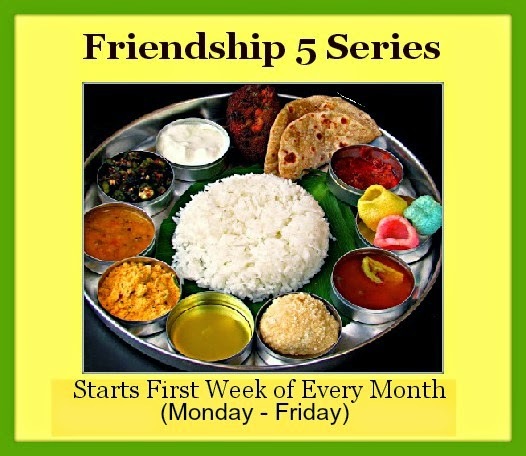 Stay tuned for next 5 days for Easy Diwali recipe here. Heat ghee in a non stick pan until hot. Add maida and fry until color changes or nice aroma comes.It will take less then a minute.Switch off the flame and keep aside. To prepare the sugar syrup,dissolve sugar in 1/2 cup of water and bring it to boil. Once it reached one string consistency add flour mixture and turn off the heat. Mix well to the smooth paste. Mix until it get thicken but still in pouring consistency. Transfer it to the greased plate or pan. Level it using spoon. Mix well to the smooth paste. Mix until it get thicken but still in pouring consistency. Pour it over the already prepared white layer. Level it using spoon. Let it set for at least for half an hour. Bringing the one string consistency is very important. If the one sting consistency not reached it will not get thick. You can make only chocolate or vanilla or add any other colors to white layer.